God has graced each one of us with unmistakable dreams, desires and plans for our lives. He has interlaced those dreams with talents, blessings and spheres of influence unique to each and every one of us. While God is totally in control, work and discipline on our part are still necessary to see our dreams come to fruition. 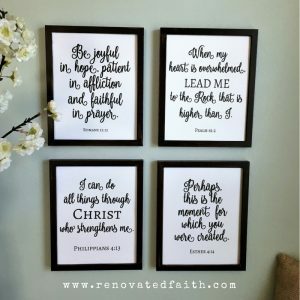 In the past, I felt it was my job to sit and wait for God to fulfill His plans for me – like maybe I wasn’t trusting Him if I tried to work towards those goals. However, anything worth doing will involve a lot of preparation and character-building on my part – and I can’t think of anything more worthy of my time than following God’s Will. Goal-planning basically involves making a road map to where you know God is leading you. The Lord wants us to actively participate in His plans for us by relying upon Him to fulfill our God-given dreams and aspirations. Within the work lies the preparation, growth and character-building that will be necessary when His plans are fully realized. Development is part of the process because God wants us to be ready for all He has planned. As Tony Evans once said, “The worst thing you can have is to be somewhere God wants you to be and not be ready to be there.” It’s through working towards our God-given goals that He prepares us for the task at hand. Plan your work and work your plan. One of my dreams is to be a writer but I’m not going to just wake up tomorrow morning and be an amazing author whose eloquent words just spill onto a blank page. Not only does it take work to develop the necessary writing skills but also the character-building to be able to handle it when I get there. As mentioned in my post on setting godly goals, fix your eyes on God and He will show you the goals for your future. There is no accident that you are in your current stage or situation. It’s liberating to rest in knowing that God is fully aware of where you are at any moment. Achieving goals has less to do with control and more to do with surrendering your present and future to Him. What fears pin themselves between you and your dreams? What is the basis for these fears? For every fear that comes to mind, write down “I fear _____ because__________.” This is a great exercise to understand what is holding you back. Submit these feelings to God and learn from them. 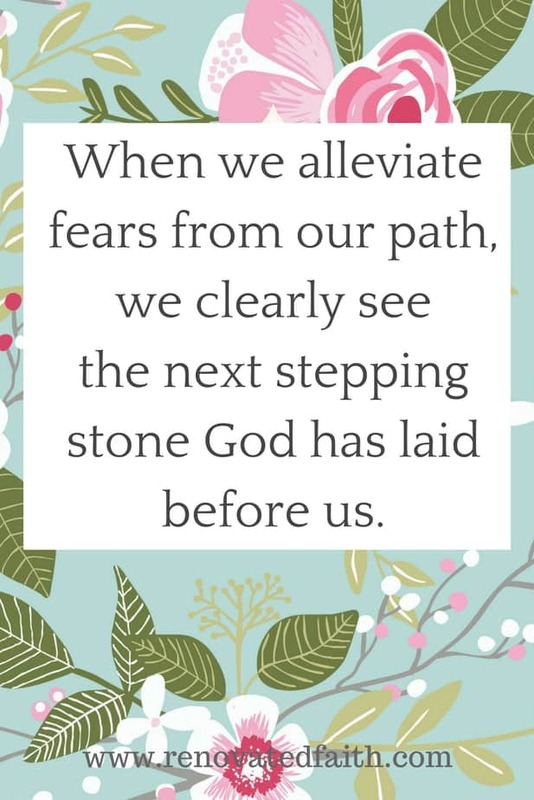 When we alleviate these fears from our path, we clearly see the next stepping stone God has laid before us. Allow your fears to be swept away by faith in your Creator, knowing this kind of fear is never from Him (2 Tim.1:7). Goal – What I Envision in Three Months: Less whining and table and she is trying food on a regular basis. Goal – What I Envision in Three Months: I’d like to have read a book on writing and have submitted something to a local Christian magazine. Notice my goals are not very lofty and some are vague. There’s a reason for that. Be sure to be kind to yourself during this process. Nothing sabotages your goals faster than the guilt and discouragement of setting unattainable goals. 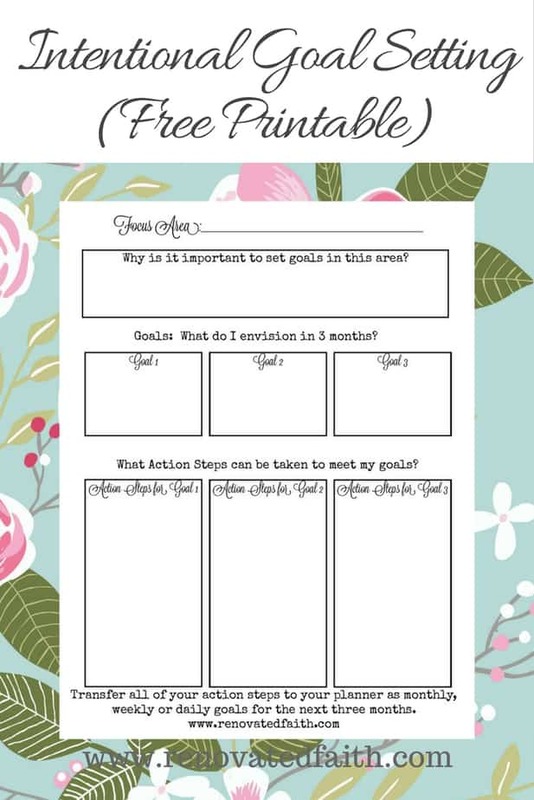 Write out action steps. Start with monthly and then narrow the focus down to weekly and then daily. Record these baby steps in your calendar or planner. For example, to get my daughter to try more foods, we are going to set up a sticker chart. When she tries a new food she gets a sticker and when she fills up the whole chart, we are going to do something special. Now that you have a plan, you want to reassess and repeat the same process every three months. Here is a link to a free download to help you make this process more streamlined. 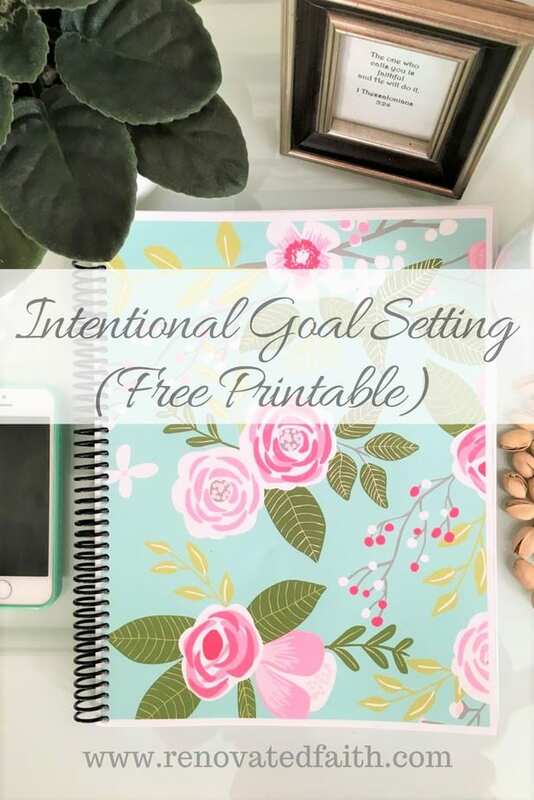 The key to goal-planning with God’s purpose in mind is surrender. When we stop to be intentional about following His plans for us, we glorify Him and have greater fulfillment in how we spend our time. If you think this post will help someone else, please share it! I love the layout for the printable! Such practical advice for helping us unfold God’s plan for us! Will share! Love the printout! There is so much wisdom in this Karin! You’ve inspired me to write out my goals for 3 months from now tonight. Thank you! That looks like a great tool, and also comes with some wonderful advice! I love writing down my goals in a way that looks pretty and pleasing to the eyes, it makes me remember them more! I hope your day is filled with forward progress on your goals. ?